In case you aren’t aware, Blackbaud has rolled out their TeamRaiser/Facebook Fundraiser integration, and it is now available to U.S. Luminate Online customers. If you’d like to see a recorded webinar getting more details on this offering, you can watch it here. This is quite an accomplishment, especially for those that have tried to leverage Facebook’s platform as another channel for event participants to share their fundraising pages and to drive donations through the Facebook channel. The integration closes some loops on this process and it incorporates the use of Facebook’s Fundraiser functionality. For one, because you’re using the Facebook Fundraiser as an extension of the TeamRaiser fundraising page, the organic activity that occurs in Facebook stays in Facebook. There’s no clicking away to the TeamRaiser site to do the donation. Secondly, the transaction data from Facebook is passed to TeamRaiser. There’s no exporting and importing to get transactions synchronized, albeit there are some limitations as I mentioned previously. Participants will need to connect their TeamRaiser Fundraising Page to a Facebook Fundraiser: The TeamRaiser registration process will incorporate a connection to a Facebook Fundraiser. If the registrant chooses to connect, a Facebook Fundraiser is created and linked to the participant’s TeamRaiser fundraising page. If the participant does not connect during the registration process, they can do so in their TeamRaiser participant center where a connect call to action exists. If connected, a link is provided in the participant center to the Facebook Fundraiser. Donation data from Facebook will pull into TeamRaiser through the integration: When the two pages are connected, whenever a donation is done through the Facebook Fundraiser, it will be processed on TeamRaiser. What this means is that thermometers will include the donations made on Facebook. Reporting on the administration side of the Luminate Online will have the Facebook donations. There is no exporting or importing of transactions – Facebook Fundraiser donations will be automatically marked with a source code in Luminate Online so you can identify them in reports. Participants will have more Facebook Fundraiser functionality available to them: Once the Facebook Fundraiser is created through the TeamRaiser connection, the participant can use the Facebook Fundraiser functionality within Facebook to promote their fundraising effort. This includes having the Fundraiser displayed on the participant’s Facebook profile; widgets to recruit, solicit, and share the Fundraiser; ability to use photos in the participant’s Facebook account to use in their Fundraiser; if the donor has saved their credit card information in Facebook, the donor can make a donation on the Fundraiser form without entering their credit card information; donors can share their donation on their feed, which can expand the donor reach to second and third level social connections. The Facebook Fundraiser is not customizable, and the breadth of data coming from the Fundraiser is limited: If you’re wanting to capture more information from your TeamRaiser donors through the donation form, you’re not going to be able to with the Facebook Fundraiser. You’re going to need to work with the Fundraiser standard form. In fact, you’re only going to get an email address with the transaction information, if the donor opts-in to providing it. On the TeamRaiser side, honor rolls will show “Facebook Donor” for donors from the Facebook Fundraiser. If the donor does not opt-in to providing their email address, the transaction will come in with a Blackbaud generated email address so that it is unique in the Luminate Online database. Blackbaud recommends not deleting these auto-generated email records, since any future donations from the same donor in Facebook will append to the original constituent record, even though the email is a Blackbaud autogenerated email address. You’ll need to fill out the activation form to get started with the Teamraiser/Facebook Fundraiser integration: According to Blackbaud, you’ll need to first submit information on their activation form. They’ll be doing some due diligence on their end to get the process started and they will also review your TeamRaiser participant centers to assess compatibility (participant centers will need to be version 18.2 or higher). After this, you’ll need to fulfill Facebook requirements to be approved for Facebook Fundraising as well as have access to Facebook App. Also, your Teamraiser will need to be able to accept Discover Card. Once all that is sorted, there is some configuration that needs to be done on the TeamRaiser/Luminate Online side that you can either do yourself or have Blackbaud Services take care of for you. Finally, you’ll want to include the Facebook Fundraiser integration into your event marketing program and training to promote it and get it standing. Time will tell what kinks still need to be worked out, and there’s also the current Facebook climate with security lapses and user growth/activity stagnating to consider, but as far as initial impressions, I think Blackbaud has done good with this new offering! 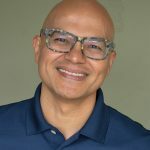 Xavier Castro is a Senior Technical Consultant with Zuri Group, and he brings over 15 years of experience working with nonprofits and their technology needs. He has experience implementing and supporting a range of Blackbaud products, fundraising and online marketing solutions. Xavier specializes in business analysis and leads implementing technology projects ranging from strategic consulting, software implementation and training, website design and redesign, custom web application development, microsite portal development, and data migration/integration.